The BMW S1000RR excellence was present on our streets and tracks for a full riding season before its launch. 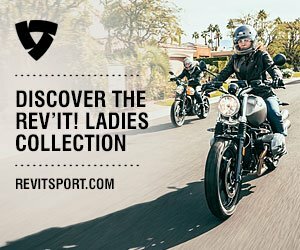 It’s the motorcycle every sport rider’s raving about. After my road review, I can genuinely state, it’s moved to the top of my most wanted sport bike list! As a performance demanding rider, I too, agree with every review covering this the BMW S1000RR – a slew of positive remarks when it comes to this hot-shot! It’s even won awards and has been a favoured choice on the racetrack – both amateur and pro. 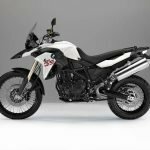 Considering this is the German company’s first venture into modern super-bike territory, their serious effort indeed produced the sportiest engine ever and in a long while! 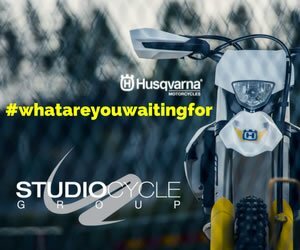 Let’s remember, its first début in Munich April 2008 where shortly afterwards the bike was launched to compete in the 2009 World Superbike Championship.Troy Corser and Rubén Xaus were selected as riders. I remember it well. BMW made an exciting return to the World Superbike arena. Brilliant! What followed was the world launch in 2010 of the commercial model S1000RR and no one looked back. There are two main things which set the BMW S1000RR apart, its asymmetrical front design, which although many don’t find appealing, I find most logical and attractive. These headlamps won’t get blend in with those of auto-mobiles! 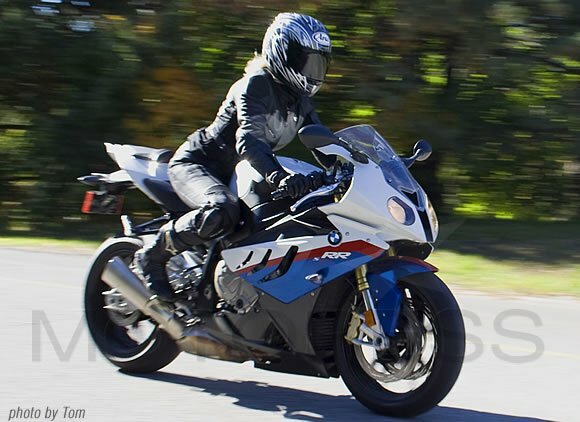 women and motorcycling Motoress BMW S1000RR review. The other factor was of course, its power. 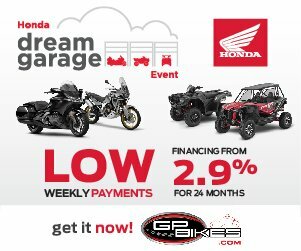 You get 193hp (142 kW) at 13,000 rpm on 183 kilograms (403 lbs) of weight powered by a 999 cc (61.0 cu in) inline-4, engine! Impressive is an understatement! It does seem, however, that the manufacturer famed for two-cylinder boxer’s heritage has gone Japanese. 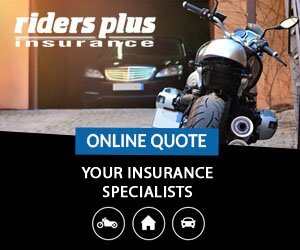 There may be bits of similar technology to the Honda FireBlade, Suzuki GSX-R1000, Yamaha R1 – the BMW performance still speaks German! The four-cylinder in-line engine has titanium valves and valve train which are some of the components making the engine block incredibly lightweight. According to BMW it’s derived from racing technology – and this is fortunate for us. They experimented for one entire Superbike season to iron out the kinks. It’s not just 55% lighter than conventional blocks, but also has more precise valve timing as the folks at BMW have stated. It’s not just 55% lighter than conventional blocks, but also has more precise valve timing, as the folks at BMW have stated. 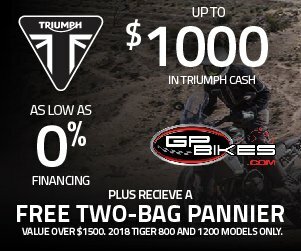 The bike’s features such as Bosch electronics, easy to adjust suspension, fuel injection, quick-shifter, Brembo radial front brake callipers add to making it the most complete sport bike package! The dash system doubles up as a lap timer. You’ve got Race ABS (Anti-Lock Braking System) and DTC (Digital Traction Control), Gear Shift Assistant (BMW’s own quick shifter system) and fuel injection. BMW have also made rear damping/suspension adjustments a breeze! By using numeric markings 1 through 10 you can make suspension modifications based on the owner’s handbook which cross references set-ups to suit the rider and conditions. You can also use the tip of the ignition key as a screwdriver to adjust the damping adjusters! 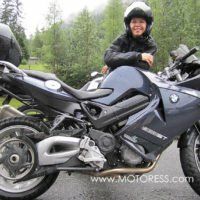 When I first got into the seat and readied to ride away, I was told it’s in “RAIN” mode and is the best choice of the four DTC mode settings for street riding. I was given the bike’s standard owner’s manual and took a quick pre-ride peek into the operations of the DTC –wow what details! I had no time to go through all the DTC instructions because there was a lot to read! But since I was heading for the street, not the track, I trusted the current set-up and who can argue with the BMW experts! 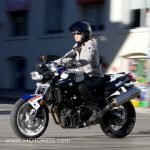 The modes do dramatically alter traction so depending on your riding demands (street or track) that it pays to get them right. 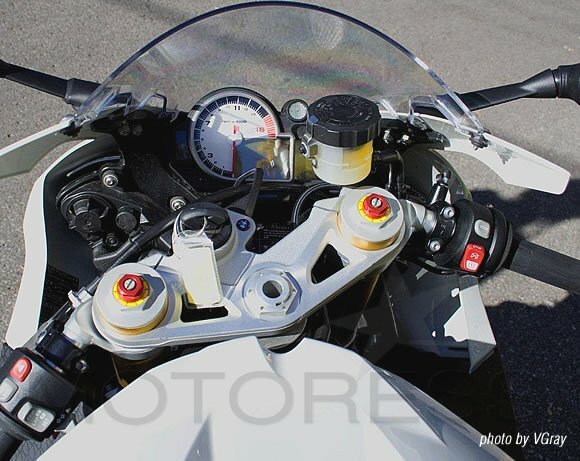 The S1000RR’s operational methods must be studied before you can apply its operation to the best advantage. 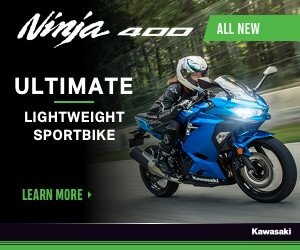 The S1000RR is a great bike for track day enthusiasts or street worthy skilled sport riders who can use self-discipline. The owner’s manual has an entire section titled “On the Race Track”! 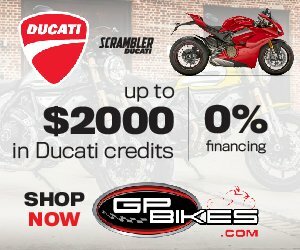 Personally, I’m a huge advocate for getting your street legal sport bike onto the track. It’s highly practised in Europe. Show up at a track in England or Italy, sign up, remove the mirrors, number plate/ holder, tape off the glass and off you go! 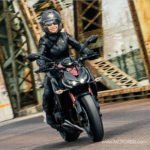 This rider owner’s guide shows you the S1000RR is made to transform from your street ride to your track ride and that’s a smart move BMW! Turn the ignition on and the bike goes into system check. There’s an array of lights splashing across the dashboard coupled with the sound of many digital audio clicks! This gives off a high-tech feeling like a digital flight ship has just been engaged and I really got a kick out of this! Wait a few seconds, and then hit the starter. The engine goes into a smooth prowling growl but it’s much more silent than you expect and without that hollow tin-like sharpness 1000cc Japanese bikes possess. There’s a perfectly balanced and compact riding position fit. When tucked into the bike my elbows set nicely on my knees I was surprised that I fit so well. 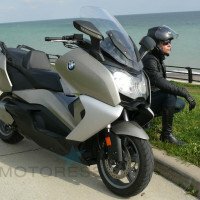 I was told by BMW that just about every test rider expressed an amazing fit. Could we have a “one size fits all” here? It’s 82 cm seat height, slightly tall for me, though not an issue due to the bike’s lightweightedness – dry weight of just 183 kgs. When road ready, fully fuelled and equipped with race-ABS it’s still just 206.5 kg’s. Its skinny waist increases the sense of fit and control. As you look to the dashboard, beauty spills into your eyes with the bikes simple quality touches. A large clear white-faced tachometer, the scalloped engine yoke, red and yellow fork tops, and sporty windscreen produced a pleasure to get under! There’s caution needed for the street however, within three seconds it goes from zero to 100 km/h where its top speed is over 200 km/h which is stated modestly by BMW. It really needs to have a “pack leader” as a pilot (reference famed “Dog Whisperer” TV Show) with a “calm submissive state” on the street. One experimental twist of the throttle and there’s direct flight so to speak. I made a simple lane change on the 400 highway, looked down, and the speed readout showed 150 km/h! The performance mode selection switches easily from the left handlebar with four choices manually selectable. “Rain” mode caps power to 150bhp and reduces the torque output and it also smooths the throttle response. “Sport” is for dry road use. “Race'” mode is used in combination with treaded race tires at a track day, and “Slick” mode is based on the assumption that the motorcycle is fitted with racing slicks. And these would be used with a very high level of dry-surface grip such as race tracks. Also for this mode you must have the coding plug inserted. This is an activation lock function provided by a code plug for the control unit beneath the rider’s seat. These former three modes all deliver the full 193 bhp and torque output, but throttle response becomes more and more direct. As you delve into the various mode characteristics, the options truly impress. 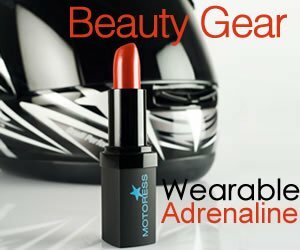 With these power mode rider aids and ABS it really very much becomes an incredibly safe bike to ride fast- and will make a better rider out of most anyone! During my rides throughout a ten-day test stretch, I was astonished, on every occasion to realise how much power was available in each of the six gears! I’d never experienced anything like it! At 14,200 rpm the rev limiter engages in but of course you’ll even experience this when in first gear. I did find the bike eats up fuel when its 17.5 litre tank emptied quickly. However, I found this comparable to other litre bikes. BMW claims it uses 5.7 litres per 100km at a steady 90 km/h and 5.9 litres @ 120km. It could have been my combination of distance and higher revs through the lower gears which caused it to be less economical. 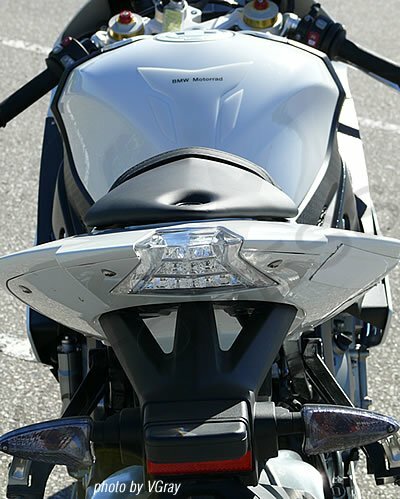 Like most sport bikes the handlebar turning radius is small but if you are a sport-bike rider you’ll already be accustomed to this. The BMW S1000RR is no different so performing small mid city “U” turns is problematic as well as tight narrow lane urban right hand corners. But the bike wasn’t designed with these manoeuvres in mind. 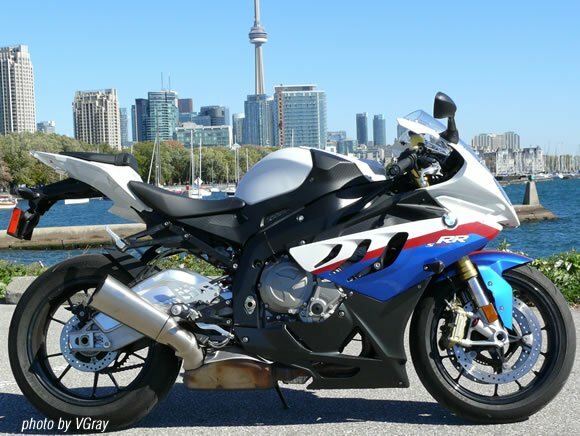 Originally and within the first 5 kilometres I had convinced myself that the BMW S1000RR was pure race and street legal simply for point of convenience. After nearly two weeks of city and highway use, I changed my evaluation. The S1000RR is perfect for someone like me- a highly skilled, experienced sport bike rider (former racer) who can really appreciate and eventually use its ability on the track. Unfortunately I’m missing an enormous amount of information about the S1000RR because I didn’t have the chance to test its abilities on the track- the intent of its DTC and lap time reducing features. BMW have promised I’ll have the opportunity next year and when it performs as sensationally as it does on the street – I’ll be boasting some new lap times and a dint a bank account balance! 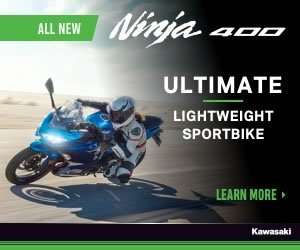 The S1000RR is available in colour combinations of Acid Green, Mineral Silver or Thunder Grey Metallic. For the colour scheme of Alpine White/Lupin Blue Metallic/Magma Red there’s a surcharge of $ 650. CAD. Watch out for the insurance premium on this model and be sure to factor in this cost to the overall budget when you consider buying.